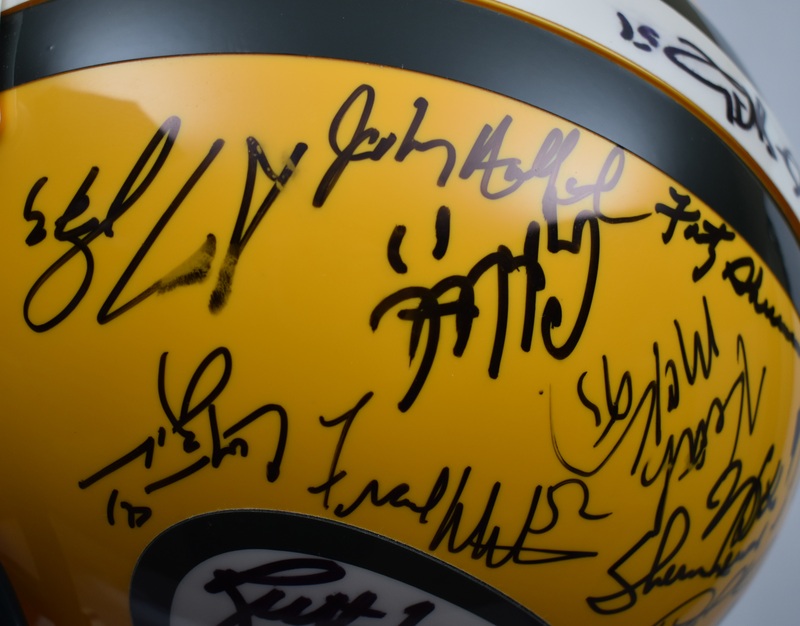 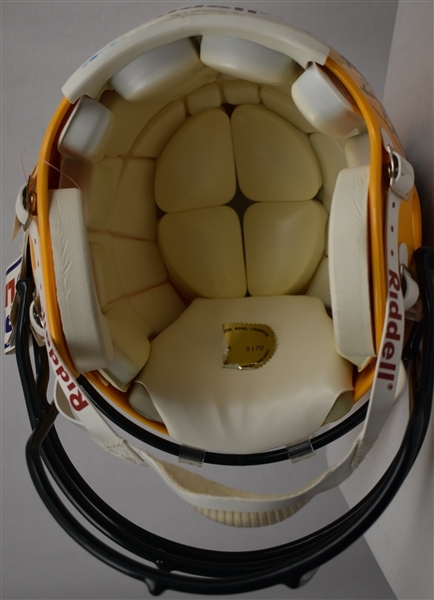 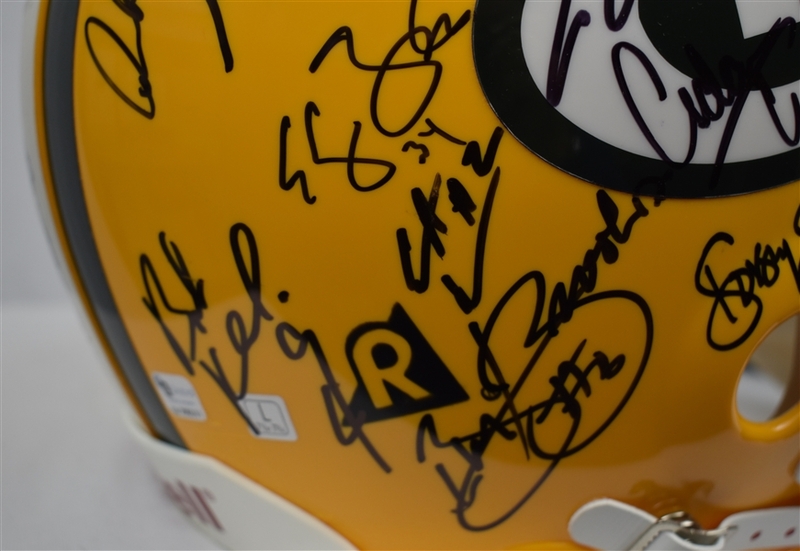 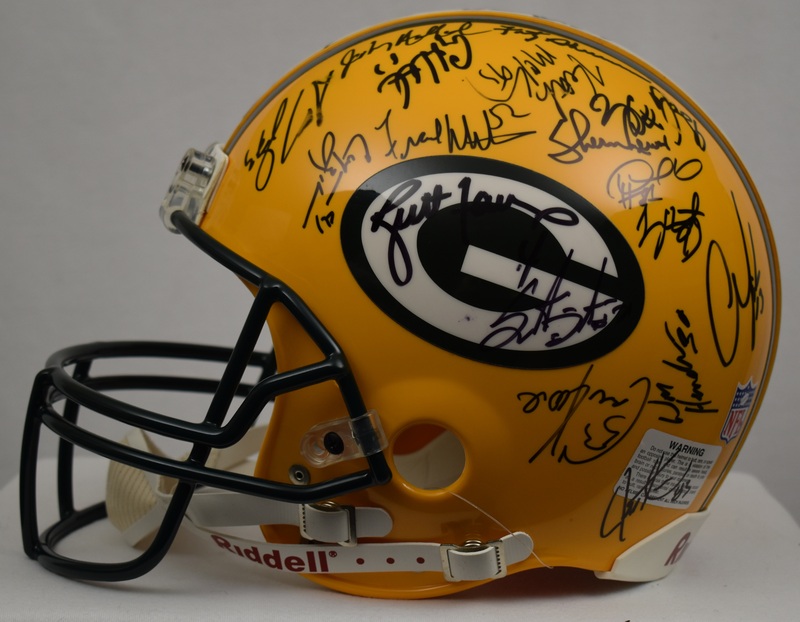 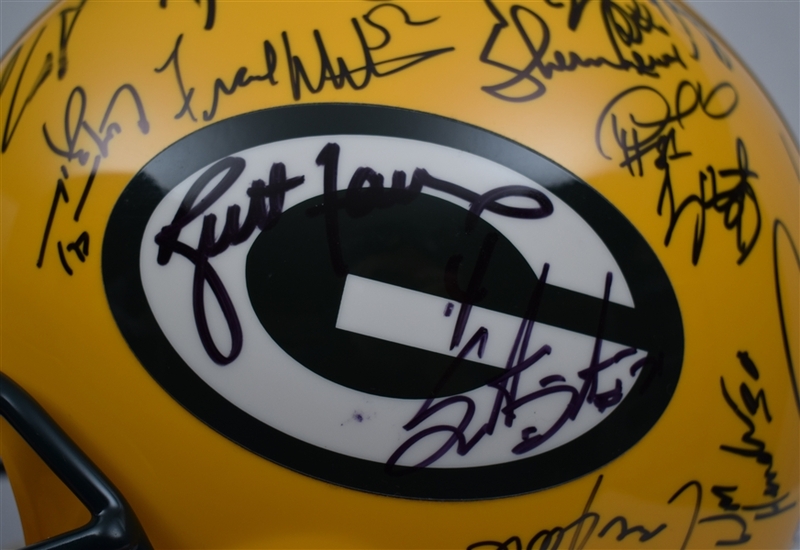 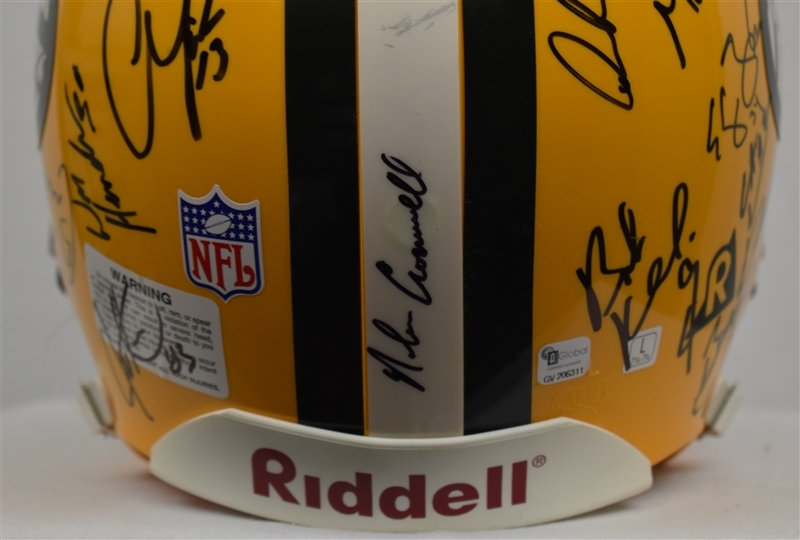 Official Riddell Green Bay Packers helmet signed by 25 members of the Super Bowl XXXI Championship team. 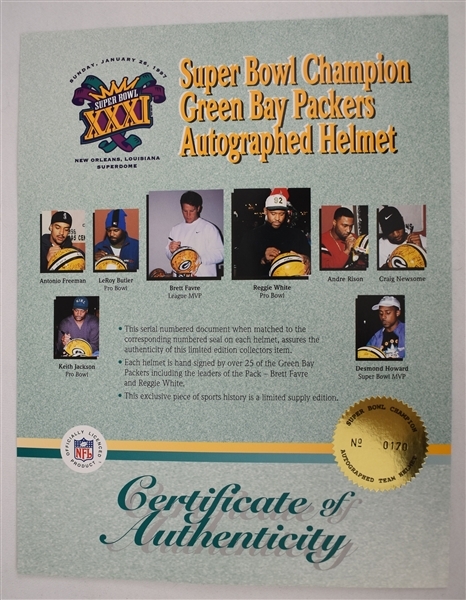 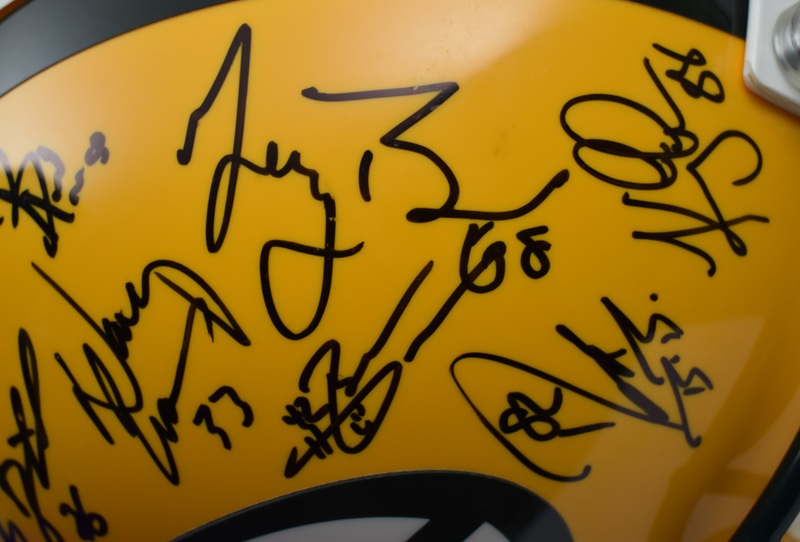 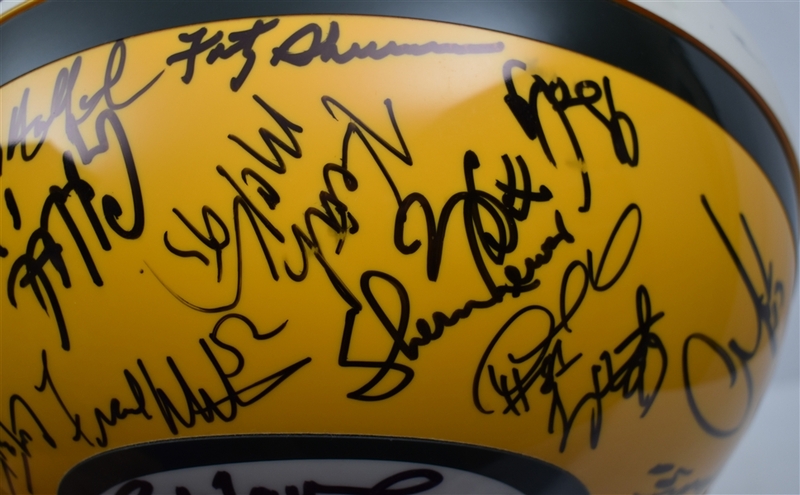 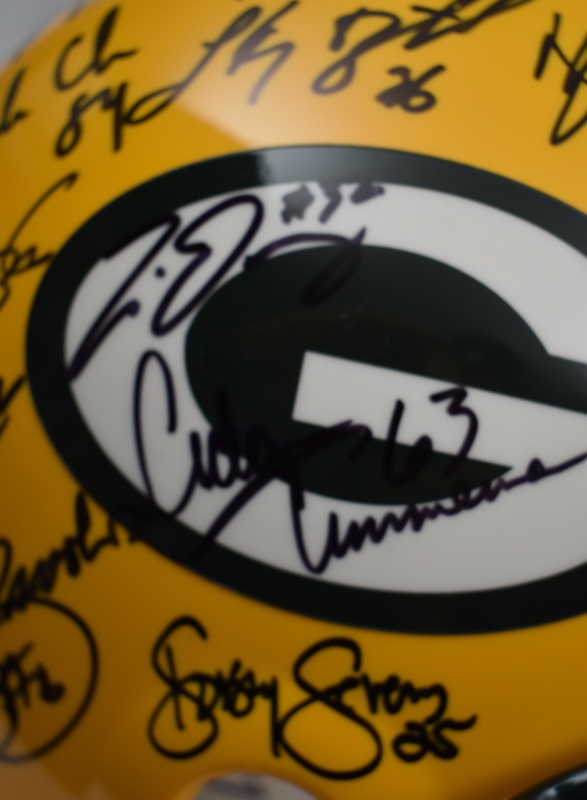 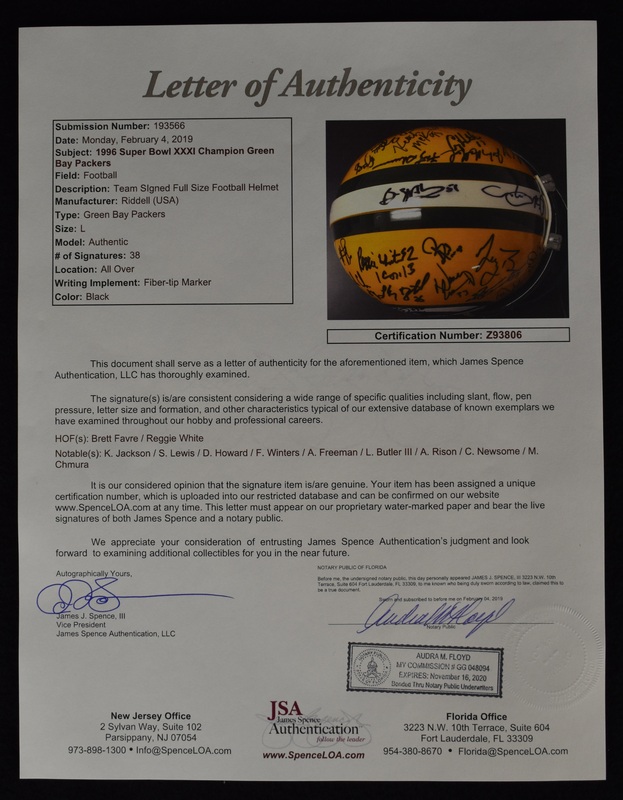 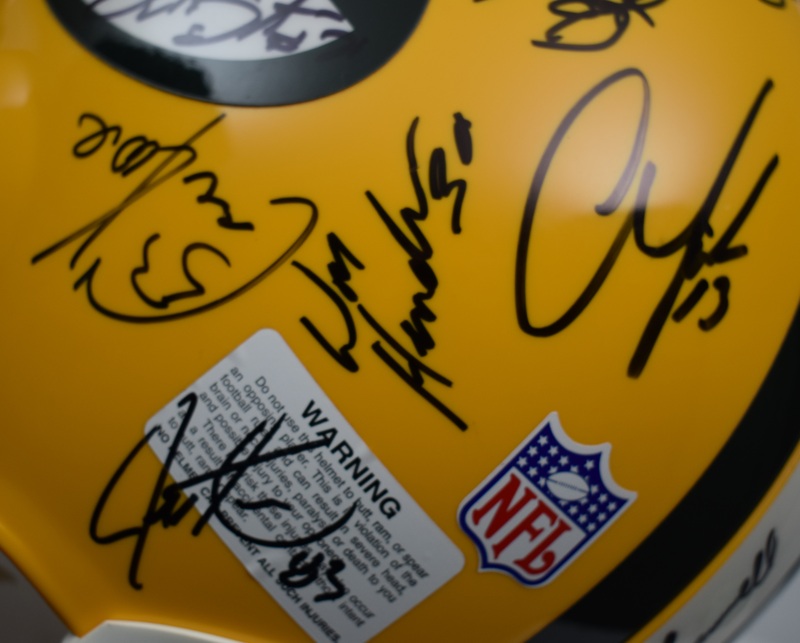 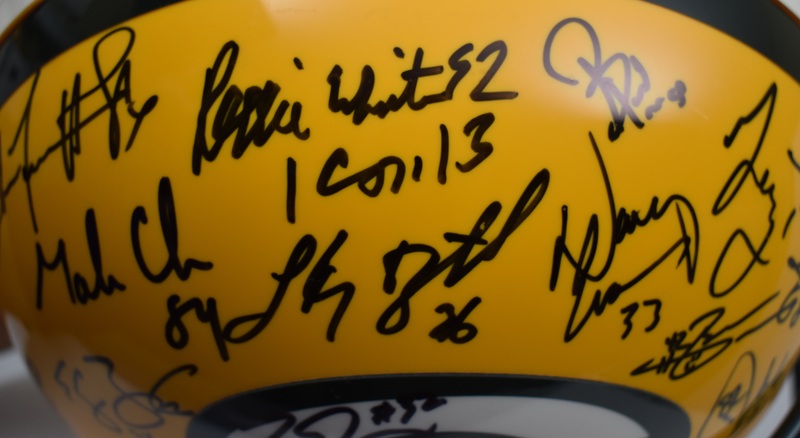 Signatures include: The late HOF defensive end Reggie White, Brett Favre, Darenn Sharper, Adam Timmerman, Ryan Longwell, Frank Winters, Dorsey Levens, Ross Verba, Mike Prior, Lamont Hollinquest, Leroy Butler, Brian Williams, Robert Brooks, William Henderson, Doug Evans, Santana Dotson, Marco Rivera, Bernardo Harris, Travis Jervey, Jeff Dellenbach, Chris Darkins, Don Beebe, Steve Bono and Jeff Thomason among others. 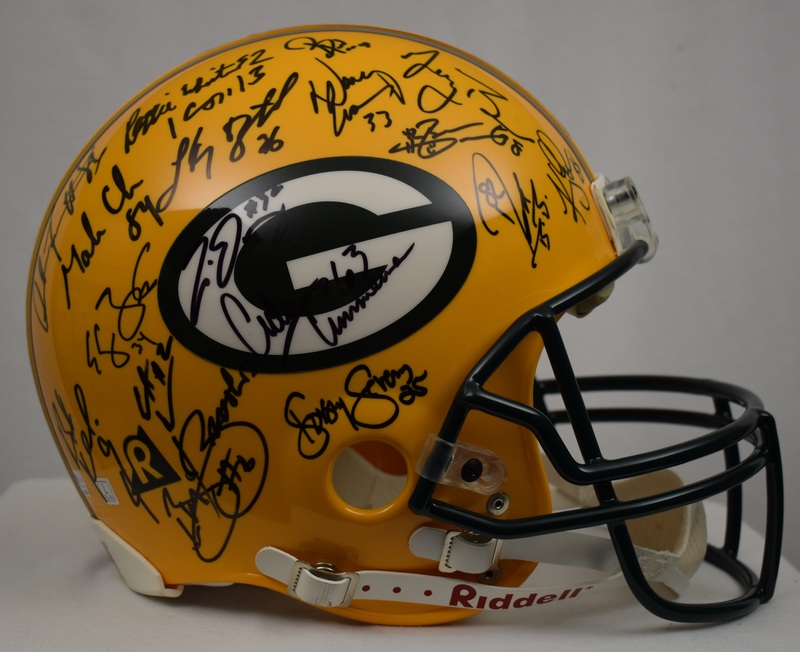 Very difficult to find this team signed helmet especially with Reggie White. 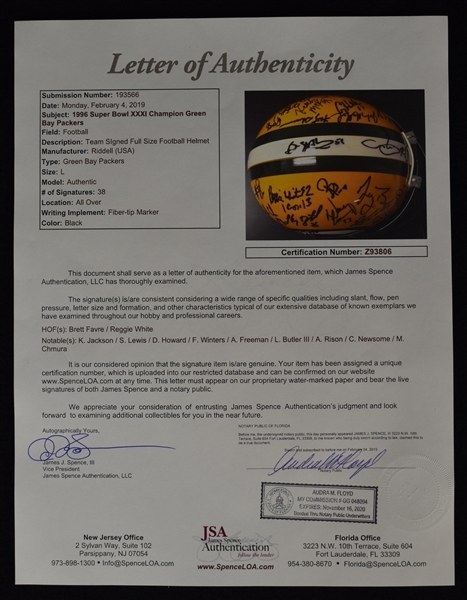 Accompanied by NFL photo LOA as well as a Full JSA/James Spence Authentication Letter of Authenticity.